After a maternity leave, the bustling percussionist recorded a loud return to musical life with her first solo album “Extrametric” (VENTIL RECORDS). After her brilliant debut, KATHARINA ERNST, a Berliner by choice and mother of a one-year-old daughter, answered Patrick Wurzwallner’s questions about inspiration, motivation and instrumental skills. Since when have you been officially active again? Katharina Ernst: I never really stopped. For a few months I reduced my live activities a lot, but in the meantime I was never really idle, which in a way also saved me from cabin fever. I was able to use my very limited free time productively and – aside from all my of my parental commitments – I was mostly involved in the production of the album. The work was very important in terms of my own feeling of not being completely out of the loop artistically. Of course, I couldn’t practice every day as I would have liked, but I could work on mixes in the evenings, etc. In addition, I have set myself the goal of becoming much more active live again in the next few months. How noticeable is it for you to assert yourself as a woman in a male domain? Katharina Ernst: Over the last few years I’ve been able to create a certain creative basis for myself and now have a lot more confidence in the assumption that people book me because they like my style and my music, and not just because I’m a woman playing drums. It wouldn’t bother me anymore if someone invited me because of it. That was different a few years ago, but it certainly had a lot to do with my self-confidence and a different self-image. My attitude has also changed. 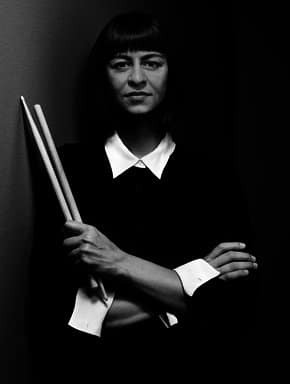 At the time, I would have simply liked to have been booked regardless of my gender as a “drummer”, but in the meantime I have also integrated the social and political statement of being active as a woman in a clear male domain more into both my way of thinking and work. It’s not my main motivation, but in times like these it is a clear statement and therefore probably more relevant than before. I was not as aware of the consequences and importance of this in the past as I am now. Why do you think the drums are so patriarchal? Katharina Ernst: Let’s put it this way: The drums are only one of many male domains and in that sense not really exceptional. All possible occupational fields except the care and education sector are seemingly male domains. One could answer this question with a huge social analogy and claim that in the last thousand years of social development patriarchal-hierarchical models have prevailed, which leads to the fact that women are still largely unable to act completely self-determined with regard to social norms. 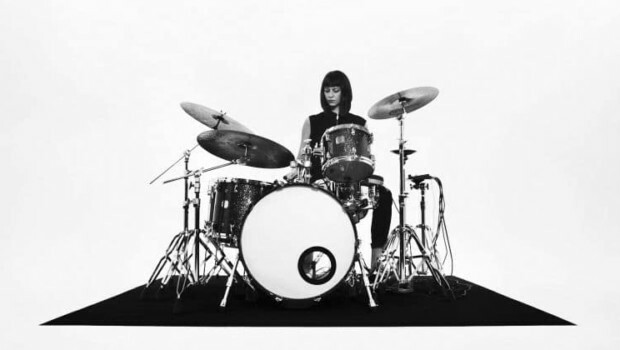 What I am saying is this: In a social order in which women had no place in the public realms, it is no great surprise that there are not so many female drummers, let alone musicians. Do you notice any change in this? Katharina Ernst: Absolutely! There are many initiatives in the field of music, such as female:pressure or the Girls Rock Camp, which also propagate this change while supporting and encouraging women in their professional lives. 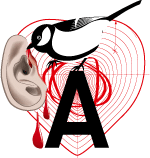 Fortunately, the public focus of the social and political discourse means that many festivals and organisers are also involved and pay attention to this topic. This is not least due to the fact that it can have controversial consequences if one adopts an ignorant attitude towards this cause. This is, in my eyes, a big difference from the past. While I don’t have so much experience yet and can´t look back on decades of work, I still think I can feel a positive development. I started playing drums when I was nine years old, simply because the instrument attracted me. Even back then it was clear to me that most drummers were male. So you can see at what tender age the roles are already distributed and how important it is to thoroughly question and renegotiate this distribution. Were you trained on drums? 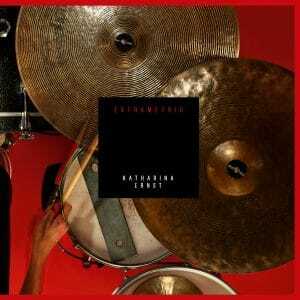 Katharina Ernst: You could say so – I have been playing drums for about 22 years now. For about ten of them have I had private instrumental lessons with various teachers, including Uli Soyka. So what was the fascination of drums? Katharina Ernst: My mother, who is a musician herself, once attended a seminar with me. That’s all it took. From the very first contact it was clear to me, that I wanted to learn music. Fortunately, that was the time when I was asked what kind of instrument I wanted to learn. The answer was easy for me – one could say it turned out great! Are there drummers who have been a role model for you? Katharina Ernst: There has never been a real role model. Maybe that’s because I was never fixated solely on the drums. I studied painting and my sources of inspiration can be found in many different fields of art. Painters like Marlene Dumas or Agnes Martin were important to me. I read Gilles Deleuze, Michel Houellebecq. Of course, there are a lot of drummers who I think are great, such as Evelyn Glennie and Michael Wertmüller. I think Colin Stetson is top, but he is a saxophonist. For a while I listened to Jack DeJohnette and Jim Black on loop, I was interested in Terry Lyne Carrington and Cindy Blackman. Katherina Bornefeld from The Ex and Ikue Mori are exciting representatives of our future. The Swiss pianist Nick Bärtsch has influenced me a lot in terms of polyrhythm. The album “Portrait” by percussionist Pierre Favre is also very recommendable. Apart from that, I do attend and always have attended a lot of concerts of friends and colleagues. Is regular practice still part of your everyday life? Katharina Ernst: It varies a lot – but due to the family I don’t practice much at the moment. Of course I’m busy with the live performance of my program, especially now in the context of the release. However, it is no longer a purely technical creation of something new, since certain underlying ideas are no longer new to me, but sometimes up to seven years old and have simply become a part of me. Right now it is more a matter of consolidating the realisation of musical decisions in order to have more free and light-footed access to the related compositional patterns. Is there a conceptual basis for your album “Extrametric”? Katharina Ernst: Yes, there is. In the broadest sense all of the pieces are polymetric or polyrhythmic compositions. Many of them are elaborate, heavily composed grooves which develop through certain patterns. But there’s also plenty of room for coarser abstraction and framed improvisation in the form of chance operations and such. In addition to conventional drums there are also electronics and smaller drums, whereby the focus lies very clearly on authentic and efficient live implementation. In the foreground is the pulsating change of the related rhythmic relations as a complex cascading construction. What was your personal motivation for “Extrametric” as a drum solo album? Katharina Ernst: About six years ago I had my first solo concert as part of a dance performance, which both was both extremely interesting and stressful in the run-up to the performance. In the course of this, I of course thought a lot about how to create something purely drum-based, without it immediately getting this étude-like athletic character. I found this to be a very exciting challenge. Over the last six years I have done several solo concerts, tinkered a lot and worked intensively with polyrhythmic and polymetric concepts, which have become more and more condensed into set pieces. However, I didn’t really manage to accommodate them in my various band formats. Even in an improvisational context I hardly work with this material, because it already has a very closed, i.e. finished character for me, which in my opinion would be out of place in this context. Ultimately, this album is the logical consequence of my work over the last few years. The compositional focus is clearly on the rhythmic organisation of a groovy structure, and the electronic orchestration and contextualisation reinforces what it is. Are there – aside from your fresh release and family – other current bands and projects? Katharina Ernst: There is Also, a duo with Martin Siewert. There are some concerts planned for autumn this year and a CD production. Ventil is already picking up speed again and is working on an EP to be released next spring. There will also be a cooperation with the sound installation artist Christina Kubisch, who describes her work as electromagnetic composition. So it remains exciting. Any last personal comments before you leave? Katharina Ernst: As already mentioned before, I wanted to make a solo record for years, but I always doubted myself and procrastinated and postponed fixed recording dates. Then I got pregnant and finally wanted to do it because I was afraid that it might not work out at all and recorded the album in my fourth month. The idea was: If it doesn’t work out, at least I tried. When you love what you do, integrating it with family life really is a big subject. For me it was the best decision in this. It made it possible for me to get back in with full energy after the pregnancy. Maybe it will also be an encouragement for others – that, of course, would be the best.